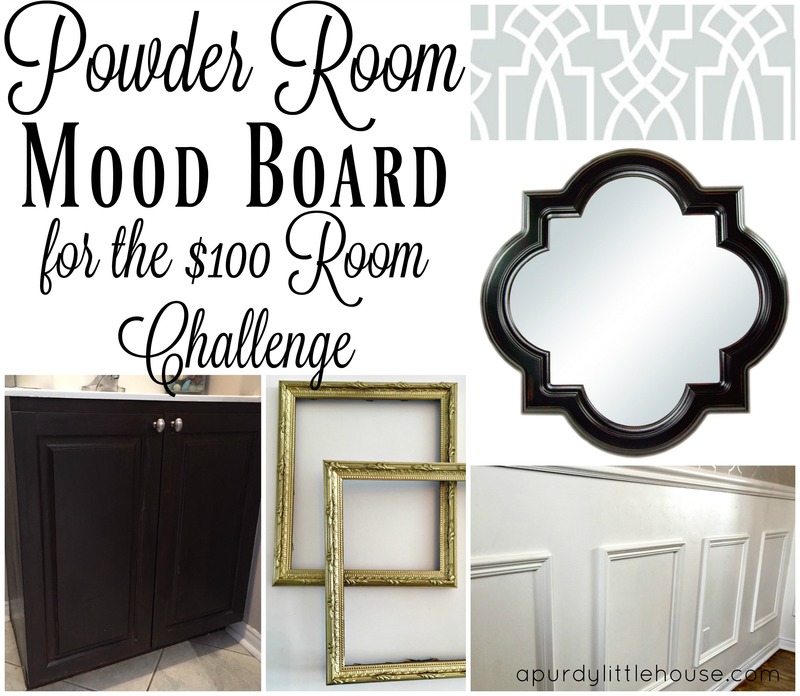 We’re back for Week #2 of the $100 Room Challenge. 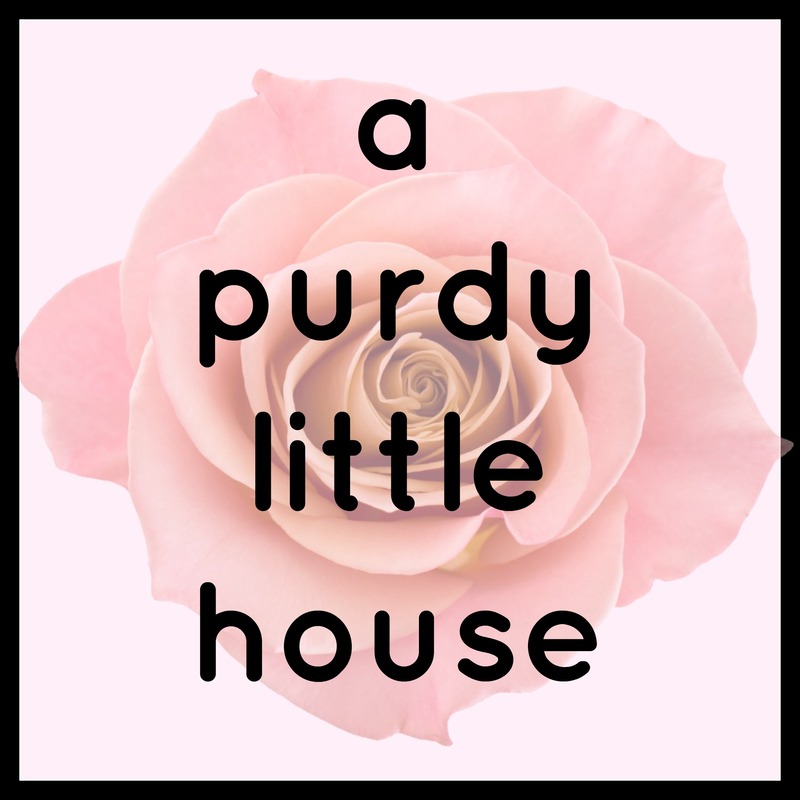 I’ve been working hard to try to bring my main floor powder room (aka The Bathroom All Our Guests Use) some much needed pizzazz. 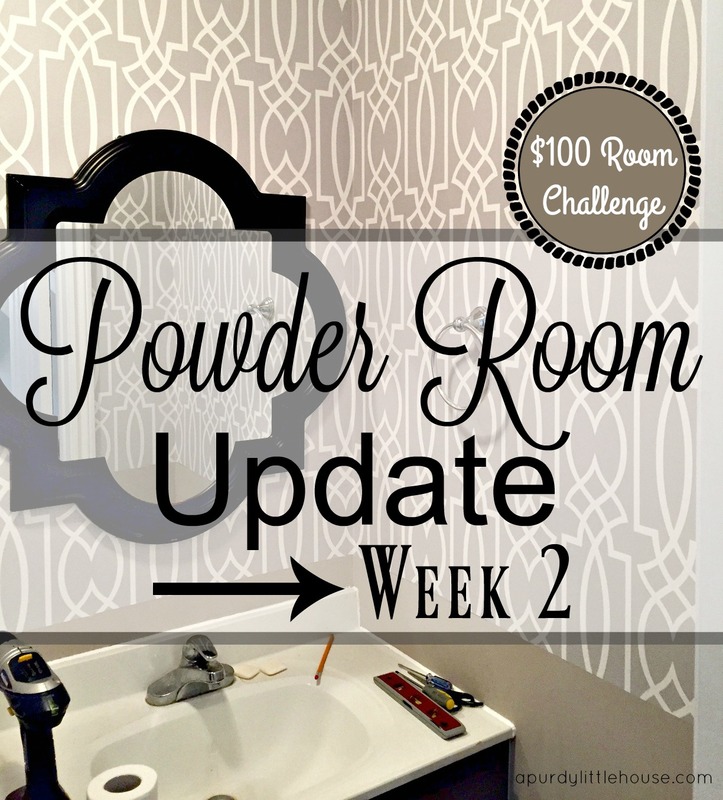 For this week, I’m going to show you my progress on my Powder Room Update and I’ll be keeping a tally of how much moolah I’ve spent so far too. 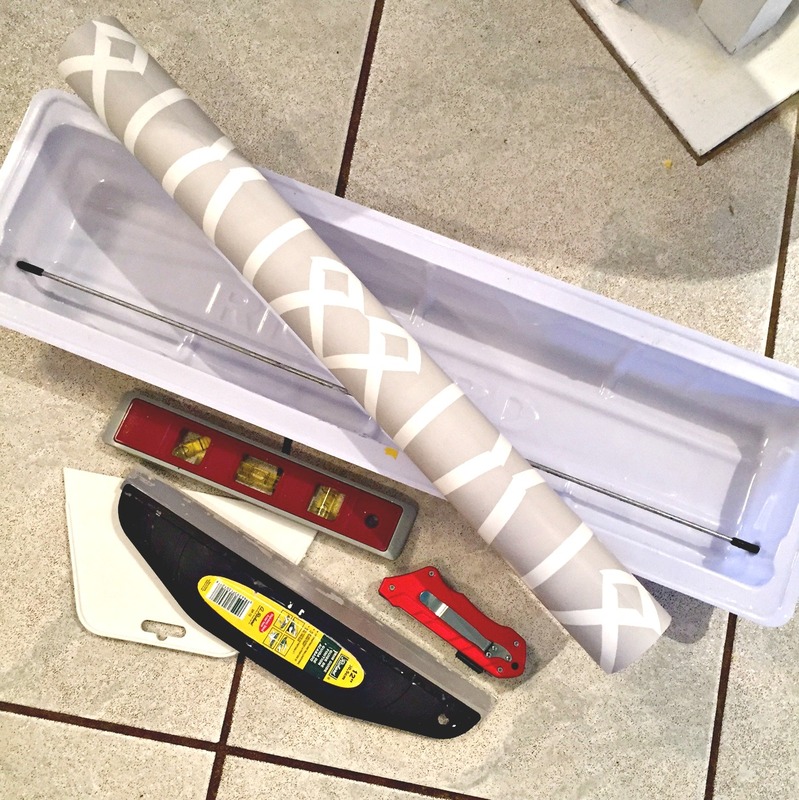 After all the towel bars were removed and the walls were prepped, I gathered my go-to wallpaper supplies. I then measured and marked a line on the walls where the wallpaper would stop, to ensure the wainscoting would be level and consistent all the way around the small room. Next, I started with the wallpaper. I have used both the pre-pasted and paste-the-wall types and I personally prefer the pre-pasted. It’s faster and is a lot less work than having to essentially paint the walls with adhesive first. 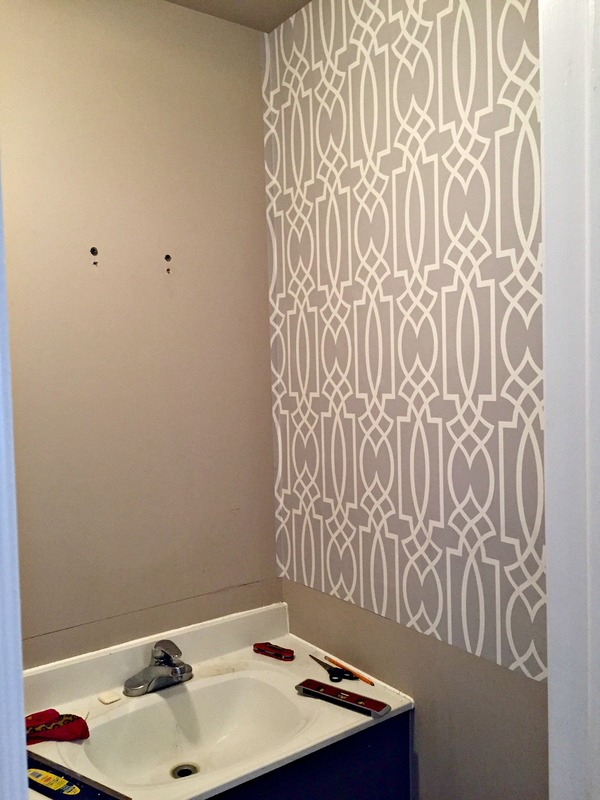 The pre-pasted wallpaper is simply run through a plastic trough filled with warm water. The glue on the back gets activated when wet and it can be applied right to the wall and re-positioned as needed. Here is the first wall completed. Easy peasy. The room already is starting to look so much brighter. Once all the walls were done, I reinstalled the towel bars and mirror. 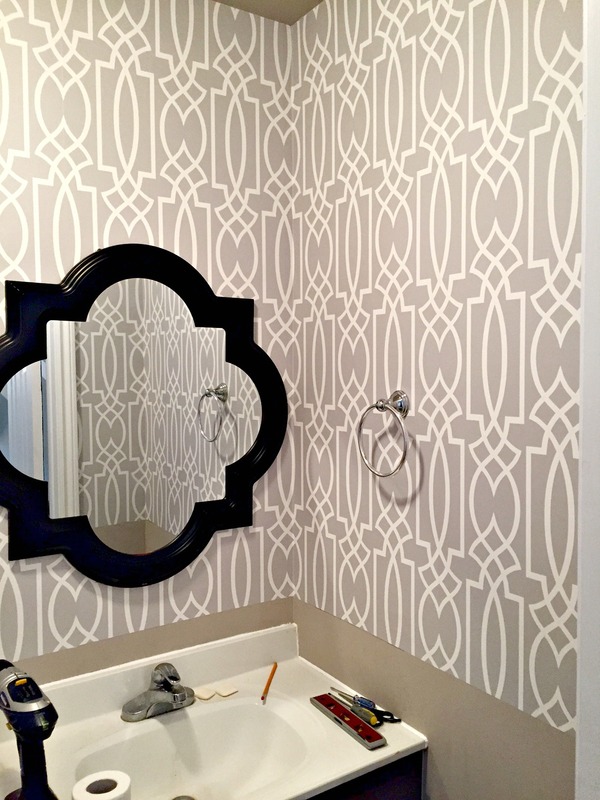 I’m loving the contrast between the light wallpaper and the dark coloured quatrefoil mirror. 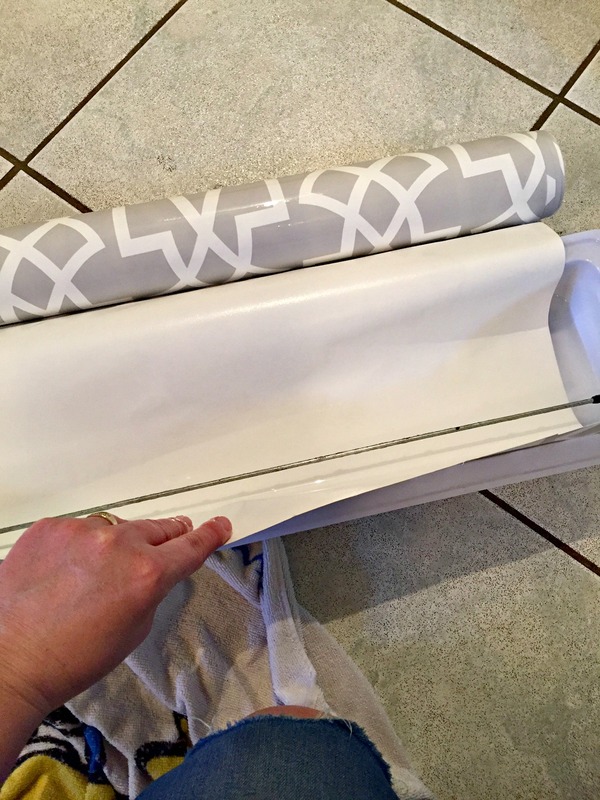 Wallpaper – Purchased at Lowes on sale for $24.98 per roll. I bought 2 rolls, so my total is $49.96. I know the wallpaper cost half my total budget, but that’s okay. 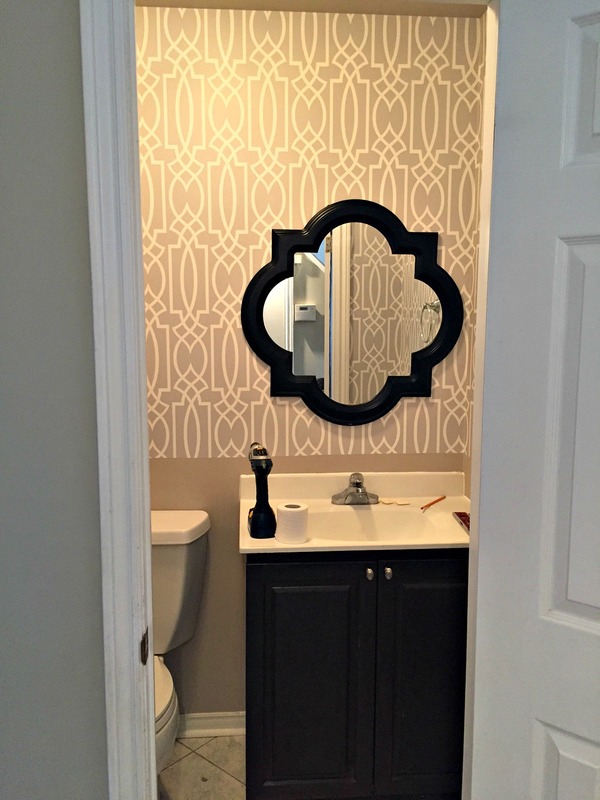 It’s a statement that adds some drama to the room, and a small powder room is the perfect place to add some drama in my opinion. Another look at my Mood Board for the space. For Week 3 of this project, I’m going to be adding wainscoting to the bottom part of the walls, caulking, priming and finally painting. This wallpaper was such a good choice! Totally worth the money, for the impact it provides! That wallpaper was sooo worth spending half of your budget on! Love it! Oh my! 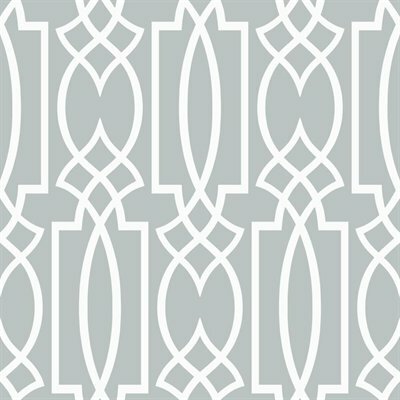 I love that trellis wallpaper. Was it hard to install? That wallpaper is really amazing! Good job! Totally worth half your budget! I LOVE that wallpaper! 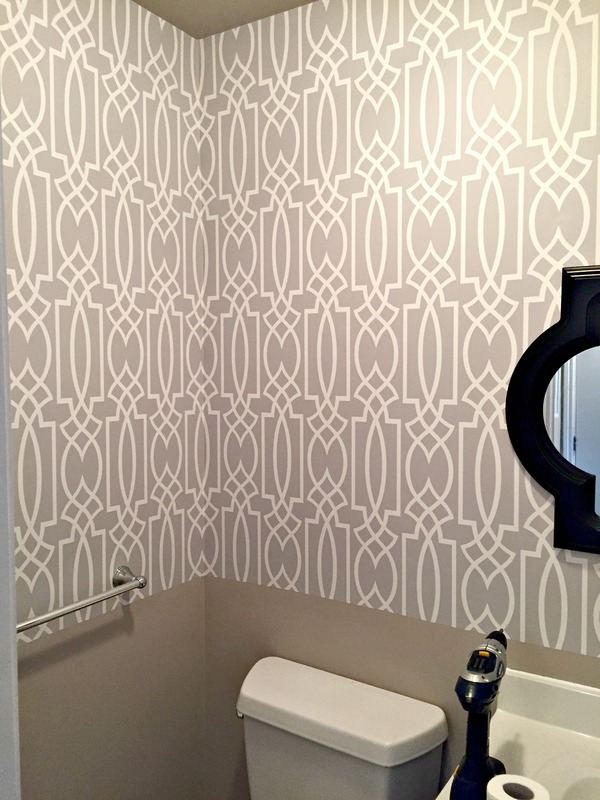 It adds such a bright, fresh touch to this powder room. I have always wanted to wallpaper a space, but it scares me. I feel like it would end up crooked. I’m impressed!